The neighbours probably think we are losing our marbles. 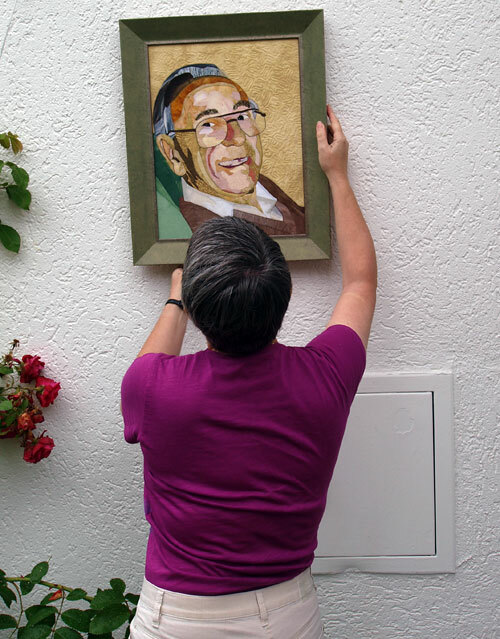 It’s not the normal thing to do – hang portraits up on the outside walls of the house. Especially as it’s been raining most of the day. We kept nipping in and out between the showers. Why? We were trying to get some decent photos of my Dad’s portrait. The light was quite good when the rain let up.